What have the biggest shifts been in performance footwear over the past few years, and how do think this season has shaped up? There's no debate that the basketball footwear landscape is led by signature shoes. Players have always mattered, and continue to matter even today, some thirty years after Michael Jordan first signed with Nike. The retail price of those shoes? The two biggest shifts in footwear over the past decade have been drastic leaps in both price and weight, each severely in opposite directions, for a variety of reasons. The first one to tackle, price, is simply a function of who's leading the market and if they feel like they have any legitimate competitors that would force them to offer their shoes at more traditionally sane price points. Nike and Jordan, with a ~91% share of the basketball pie, feel they don't, and as a result, we've seen the prices continually eek upwards. A Retro III has gone from $100 to $125 to $150 to $170 to even $200 at times, all for the same shoe at retail. Each time, they've had little trouble selling. While the Retro market clearly includes no new investments, that's not to say there isn't innovation, expert research and endless marketing going into each of the brand's current performance signature shoes. Still, the shift in price is undeniable. 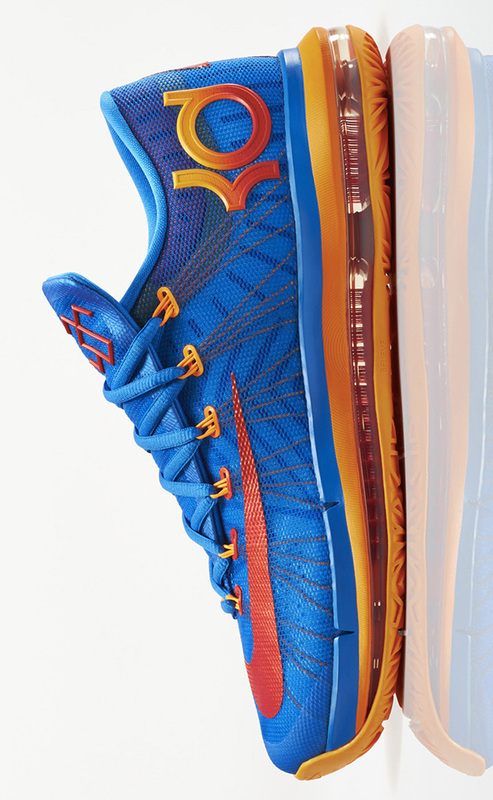 The retail price of this year's KD, LeBron and Kobe models? The playoff versions for both KD and LeBron leapfrog up even another level, and are priced at $200 and an unreal $270, respectively I guess. That's not only a huge jump, but more importantly, I can't say it's justified from a performance standpoint. It's fairly obvious at this point that a brand can build a great playing basketball shoe for right around the $100-$120 zone. Rather than build around tried and true traits that've been seemingly perfected for years now, today's signature footwear has become more about introducing new flagship technologies, upper materials and branded buzz words. As fans of sneakers and design, that can make for some groundbreaking looks and iconic models, but I think it's fair to say we're far past the days where signature models also gave you everything you needed in a performance shoe. Dating back to literally any Air Jordan, shoes have been more than just a functional piece of hoops equipment, but now more than ever, signature shoes are representative of an off-court culture just as much as they're meant to be played in. They're certainly being priced as such. That's a tricky balance to measure out as consumers, and leaves franchise models like the Hyperdunk, for just $140, as more realistically priced shoes to destroy on court. The solution is pretty straightforward. Once (and perhaps, if...) adidas, Reebok and Under Armour can offer up some great performance shoes led by some of the league's marquee names that can directly compete against NIke Inc.'s tier of signatures, only then will we see prices reason out. With Kevin Durant's new playoff shoe, the KD VI Elite, also priced at $200, it's crazy to think we're now in a retail era where the new norm for leading signatures is two bills. As prices have steadily risen through the years, we've also seen the reported weight of sneakers suddenly dip. 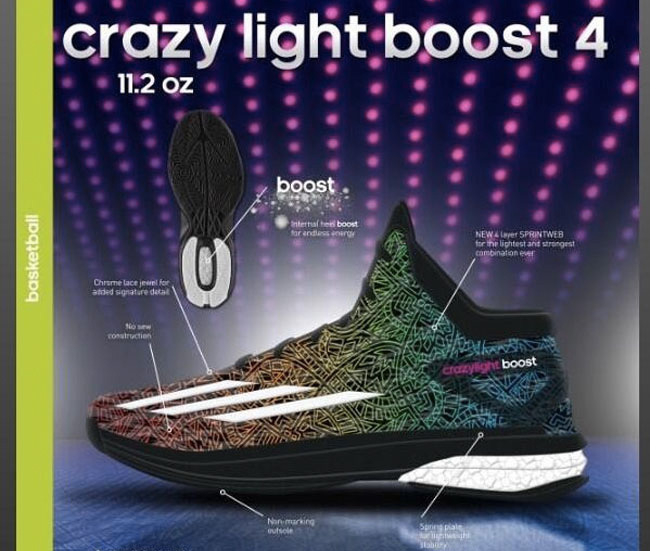 Nike was first to introduce the Hyperfuse, but it wasn't until after adidas Basketball's first Crazy Light tipped the scales at just 9.8 ounces that an arms race to lightweight was launched. Every brand in basketball has since shifted away from leathers and towards layered and bonded synthetics in an effort to shave any fraction of an ounce possible. The result was a three year period of a few great playing sneakers that all hovered around the 9.5-11.5 ounce range, but also a huge rise in flimsy shoes lacking in support or responsive cushioning. Franchises like the Hyperdunk took a step back from its performance peak in 2011. Now that designers and developers have had a few seasons to see both the benefits and shortcomings of steering so low in weight, we just might be headed towards a more ideal middle ground. Something that's been great to see this year and that we can likely continue to see going forward, is footwear brands now aiming for "right weight over light weight," as I've heard it dubbed by a few designers at different brands. If you've paid attention to any of the Kobe 9 launch events, you'll notice something that's been entirely absent from the presentation: any mention of the shoe's weight. I think they weigh 14 ounces, as it's been a hard number to track down online. That's a huge uptick from the Kobe 8's weight of just 9.6 ounces. Sure, the 9's launch version is much, much higher than the traditional low cut, but there's something to be said for the added increase in weight through the more reinforced upper, and perhaps the added support and structure that the new silhouette brings to the mix. It might be quite a tough story to tell, but the once boundary-breaking Crazy Light is also taking a step back in weight. After starting at just 9.8 ounces, then 9.7 ounces and lastly 9.5 ounces, the fourth edition in the series is slated for an 11.2 ounce weight. With that comes the much anticipated introduction of adidas' explosive Boost cushioning, along with more structure to the upper in a more targeted collar line. It's a big deal, and perhaps a welcome response to players still wanting a lightweight shoe, but not at the expense of support, tongue padding or cushioning. And who's kidding who, 11.2 is still crazy light. While skyrocketing prices and dipping weights, from my perspective, have been the biggest shifts of note in recent time, what do you think of the latest trends to hit the performance side of basketball shoes? Do you think prices have risen in accordance with inflation and market demands, or has the increase been too drastic for your tastes? Let us know what you think about the state of performance basketball sneakers in the comments section below.